Pain is a serious business. Pain after surgeries or injuries can seem even more debilitating than the initial problem itself, and chronic pain can leave people suffering for decades with no relief. In the U.S., the response to pain has been the use and misuse of prescription opioids. These pain killers have caused a crisis across the country, but what if there was a better way to treat patients’ pain? A new study shows there just might be. In the U.S., pain has led to doctors prescribing opioids at an alarming rate. In fact, in 2016, 214 million prescriptions for opioid pain medication were written across the U.S. That is a rate of 66.5 prescriptions per 100 people. The amount of opioids prescribed has become a slippery slope to addiction for well-intentioned patients. People become reliant on the drug to ease their pain, and over time, addiction sets in. Once the prescribed dose no longer has the same effect, many patients resort to self-medicating and increasing their dosage to dangerous levels. And by the time prescriptions run out, many people are left finding opioids in dangerous places where the drugs may be mixed with even more dangerous substances. In 2016, 40 percent of all opioid deaths involved a prescription opioid. And every day, 1,000 people are treated in emergency departments for misusing prescription opioids. The U.S. is in an opioid crisis, which was finally brought to national attention last October when the president declared the opioid epidemic a national health emergency. The CDC estimates that the U.S.’ economic burden of prescription misuse is $78.5 per year, ”including the costs of health care, lost productivity, addiction treatment, and criminal justice involvement.” And far worse, this crisis is claiming the lives of over 72,000 Americans each year. Steps are being taken to lessen the impact of the opioid crisis, from educational services to better regulation of prescription drugs. Additionally, some patients are seeking alternative treatments to the opioids they are prescribed, and one that is showing great promise is massage therapy. A new study highlighted at the Massage Therapy Foundation’s (MTF) International Massage Therapy Research Conference introduced the idea that massage therapy could help ease certain types of pains traditionally treated with highly addictive opioids. Massage therapy would not be able to replace pain medications in all patients. However, people with nerve damage, chronic conditions like arthritis and fibromyalgia, and muscle injuries could potentially replace their prescription drugs with massage therapy sessions. A new research study has projected that massage therapy could reduce costs to the American economy by up to $25.99 billion annually. More importantly, it could reduce the number of people suffering from addiction due to opioid prescriptions by 111,137 a year. Replacing opioids with massage therapy is easier said than done. Even though massage therapy has been proven to relieve pain, lower blood pressure, and even prevent heart attacks, it is not typically covered by insurance. This means the cost to the patient could be a large factor when pursuing treatment. Additionally, millions of dollars are spent annually on lobbyists who work to gain the support of government representatives for pharmaceutical reasons. 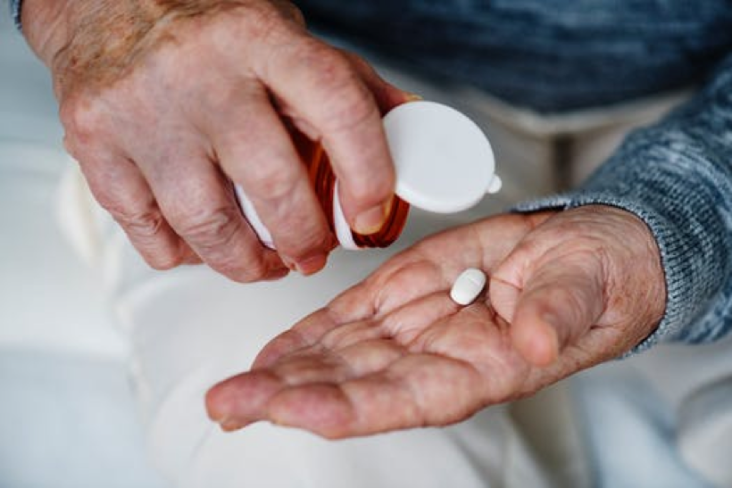 In that same vein, there are incentives placed on doctors to prescribe certain medications over others, which could lead to massage therapy not being listed as an alternative option to drugs in certain instances. There is also the ironic risk of massage therapy being over-prescribed because, like opioids it can be enjoyable even when it is not a medical necessity. However, there is no argument that overusing massage therapy has far less detrimental consequences than the alternative. Massage therapy would have a positive and lasting effect on the U.S. economy and on its citizens if it becomes a standard alternative to opioid drugs. And according to BodyWell, the best way to combat these complications is to keep massage therapy in the conversation. Massage therapy needs advocates to help it become an insurance-covered alternative to prescription drugs and to do their part to end the opioid crisis in America. If you want to become a licensed massage therapist and help end the national opioid crisis, get your career started today. Visit our website or call us at 1-833-WMT-4-EDU for more information on Woodruff Medical’s massage therapy program.